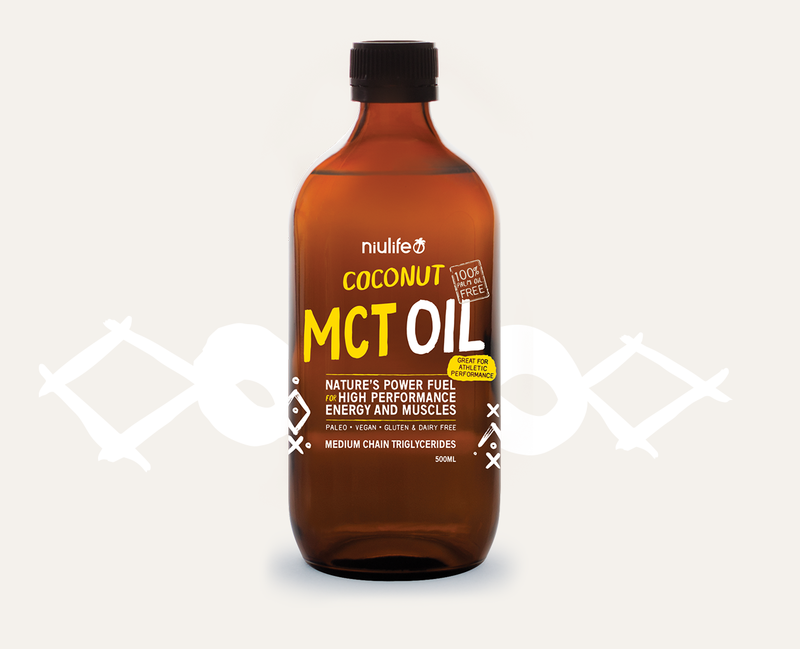 From accelerating cognitive and muscle performance, to balancing your gut, enhancing your immunity, and assisting with weight loss and stamina, MCT Oils are rapidly becoming the go-to, natural power fuel. MCTs, or Medium Chain Triglycerides, are a form of saturated fatty acids commonly found in coconut and palm oils. Unlike the more slowly digested Long Chain Triglycerides (LCTs) that require bile to be processed, MCTs rapidly convert to ketones in the liver. Your body cells can be fuelled either by ketones (derived from quality fats) or by glucose (derived from carbohydrate and sugar). In most western diets, our primary fuel source is glucose, a simple sugar metabolised from carbohydrates. Excess energy from carbs is stored as fat, which can lead to weight gain and other health issues. The normal way that your body makes ketones is through a process called ketosis. Ketosis is a natural fat-burning process where your body metabolises fats for energy when glucose isn’t readily available. This is the basis of any reduced-calorie diet which tells your body to burn fat when it has used up whatever food you have eaten. Lowering the in-take of carbs and replacing them with quality fats causes the body to activate ketosis and to start using fat that is being eaten as well as fat stored in the body for energy. Another reason MCTs are amazing is that they are converted into ketones even if your body has not gone into ketosis. This is a big deal because consuming MCTs can help kick start your body’s adaptation to preferentially using fats instead of carbs for energy. In addition to reprogramming the body to burn fat, and being anti-inflammatory, MCTs can help support good gut health by reducing carb and sugar intake that feeds bad microbes which cause belly bloat and candida. So how do you like to use MCT? Designed to supercharge your workout, our straight 100% Coconut based MCT Oil delivers quick energy from Caprylic and Capric fatty acids that are found in coconut. This is the ideal weight-loss gym buddy - quick energy that doesn’t spike your insulin levels and crash your metabolism in the way “carbing-up” does. Like many natural products, it may take time for your body to adapt to an increase in oil ingestion, so try adding it to your diet slowly. To get the best results, power up with a tablespoon prior to your workout! 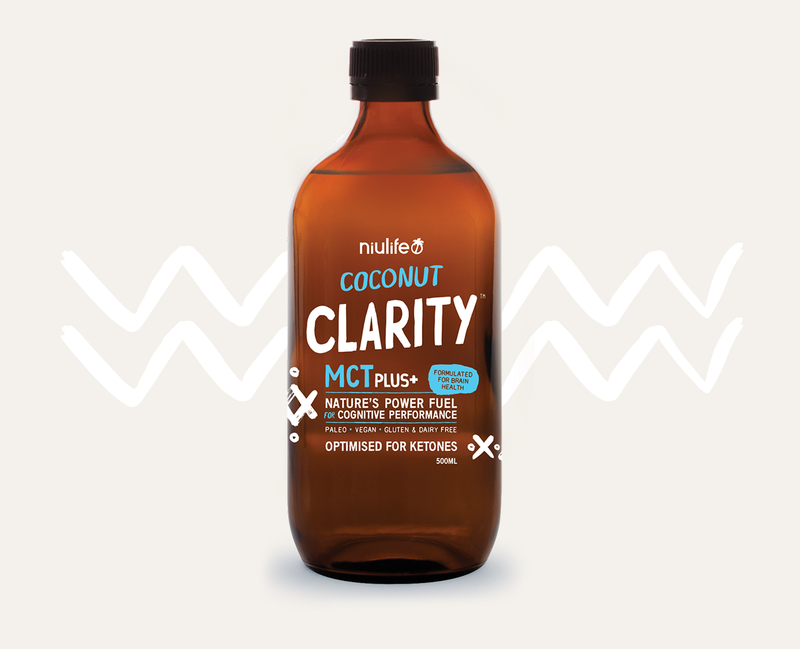 Our Coconut Clarity MCT+ Oil contains a fuller profile of plant-based fats specifically formulated for improved cognitive performance, concentration and focus through extended ketone release for up to 6 hours. Pleasantly light tasting, it is a unique blend of Coconut MCT oil, Niulife DME® coconut oil and brain-nourishing Omega 3s (from chia, camelina and flaxseed) fortified with sustainable red palm fruit oil. Try bullet-proofing your coffee or take it straight from a spoon for your morning pick-me-up. 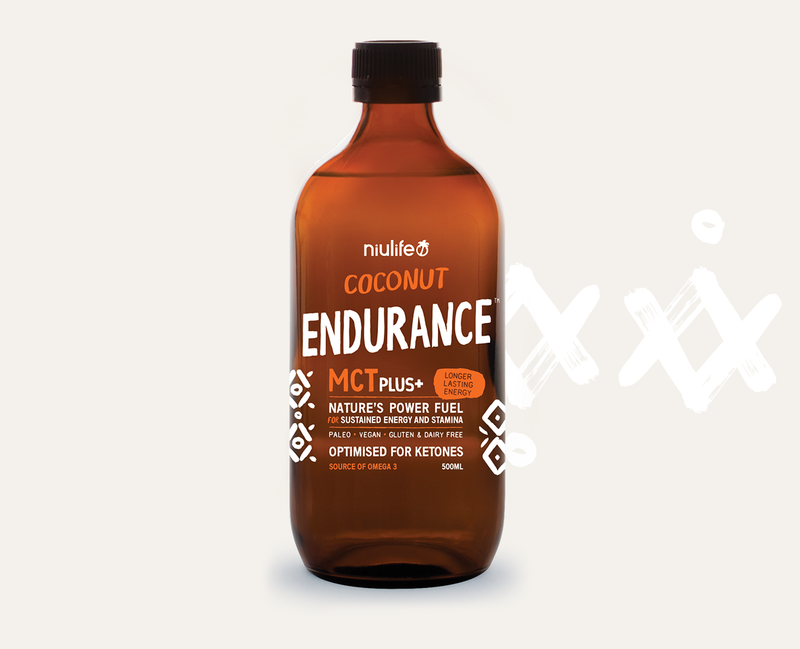 Formulated for longer lasting energy, our Coconut Endurance MCT+ Oil provides a sustained energy release over 6 hours — twice as long as regular MCT oils. Its unique blend of Niulife DME® coconut oil, sustainable red palm fruit oil and omega 3s, on a base of coconut MCT oil, can help to correct omega imbalances that may cause inflammation. This makes it ideal for high intensity workouts and endurance sports. Down 2 tablespoons before you put your runners on to up the ante. Our Niulife MCT oils are easy to use. Whilst the MCTs are stable, they are best used at moderate temperatures so avoid frying with them. You can power up your smoothies, bullet proof your coffee, dip your dukkah, drizzle your veggies, chia up your breaky bowl or dress up your salad. Or if in a hurry take it straight from the spoon to get that rapid energy boost! The best news though (or at least we think so), is that our MCT oils are made from ethically sourced, orangutan friendly and sustainable plant-based ingredients. Plus, as with all Niulife products, 100% of the profits go back to our Village for Life Empowerment program which is all about erasing poverty, empowering lives and bringing hope in remote coastal communities.